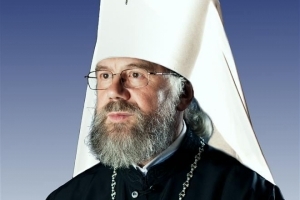 Metropolitan Avhustyn of Bila Tserkva and Bohuslav, chairman of the Synod of the Ukrainian Orthodox Church (Moscow Patriarchate) in cooperation with the Armed Forces and other military formations of Ukraine, has initiated an emergency meeting of the Military Command Council with the Council for Matters of Pastoral Care of the Ministry of Defense. He said this in a comment on Russia’s intervention in Ukraine. The hierarch hopes that the first shot, which would inevitably lead to bloodshed, will not be made.